Qatar is on the right track and poised to become successful in delivering its national food security plan due to its sound fundamentals, a senior official of leading French livestock intelligence company in the world has said. 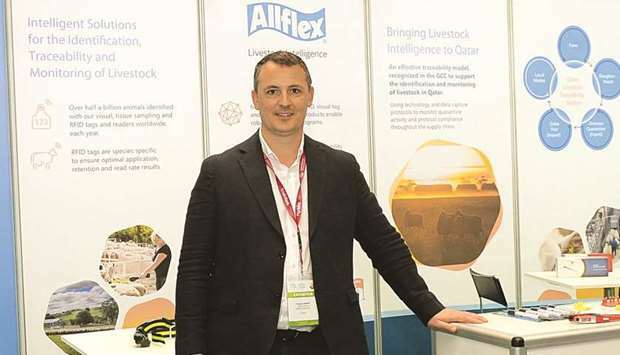 Allflex’s Middle East and East Africa sales director Thomas Nivert cited Qatar’s use of state-of-the-art technology in developing its agriculture sector, which will eventually lead to its goal of being self-sufficient. “Compared to other countries in the region, Qatar now has a very progressive technology and we are happy that it is applying such technological know-how,” he told Gulf Times on the sidelines of the opening of Qatar International Agricultural Exhibition (AgriteQ) 2019 yesterday. AgriteQ hosts some 90 local farms and more than 50 international companies at the Doha Exhibition and Convention Centre. It will conclude on March 22. With Baladna’s success in bringing and taking care of thousands of cows, Nivert expressed confidence that Qatar can further expand its livestock industry in the future. “Yes, but probably the model is to be studied. Large-scale farming is really new to Qatar so it needs to be done within a framework that is provided by the ministry and this is where a French company like Allflex can help,” he said. A world leader in livestock intelligence, with nearly 2,000 employees worldwide, and 24 manufacturing sites, the 70-year-old company was awarded the contract to monitor herds at the Baladna farm. Allflex’s core business is to provide equipment that is able to capture production data and store such information into a database that will be used by farmers in managing their farms. “Today each cow at Baladna is being monitored with our technology. An equipment is being used to detect the heat, health and any possible sickness,” said Nivert, adding that they intend to continuously work with the Qatar government to help the country to be self-sufficient. Talks about a project to trace and monitor other cattle such as sheep and goats are also underway between Allflex and the Qatar government, he noted. “I believe Qatar is walking in the right path and it is talking to the right people. 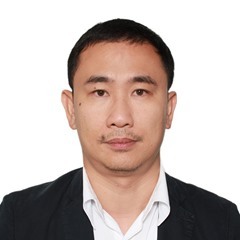 We believe this cordial relationship between the two countries can make a huge difference,” he said, adding that they were pleased to receive a delegation from Qatar last year. Apart from cows and other cattle, the company also supplies microchip for camels in Qatar for their monitoring and identification.